The map is courtesy of Suzee. 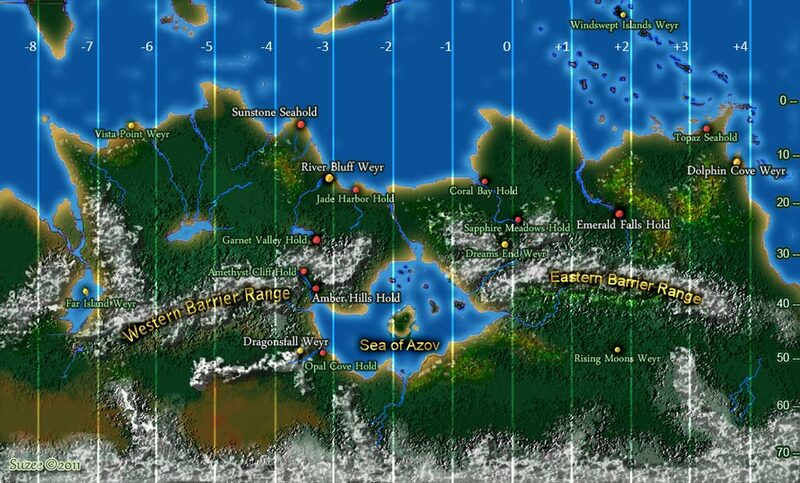 It's based on maps provided in the works of Anne McCaffrey. Locations of this club both past and present have been added. Hover the mouse pointer over a location to see the tooltip. Only locations currently in play have tooltips.